kachumber salad recipe | kuchumber salad recipe | tomato onion cucumber salad with detailed photo and video recipe. 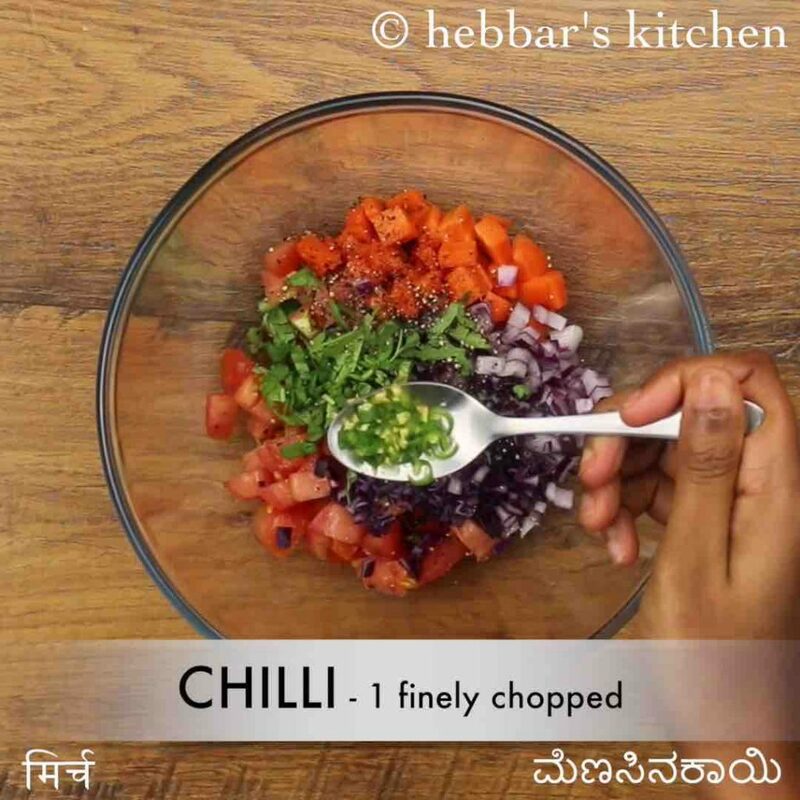 a healthy and tasty salad recipe from the indian cuisine prepared mainly with cucumber, onion, tomato as main ingredients. it is generally served as side dish in a proper 5-course meal but can also be served as the main dish too. 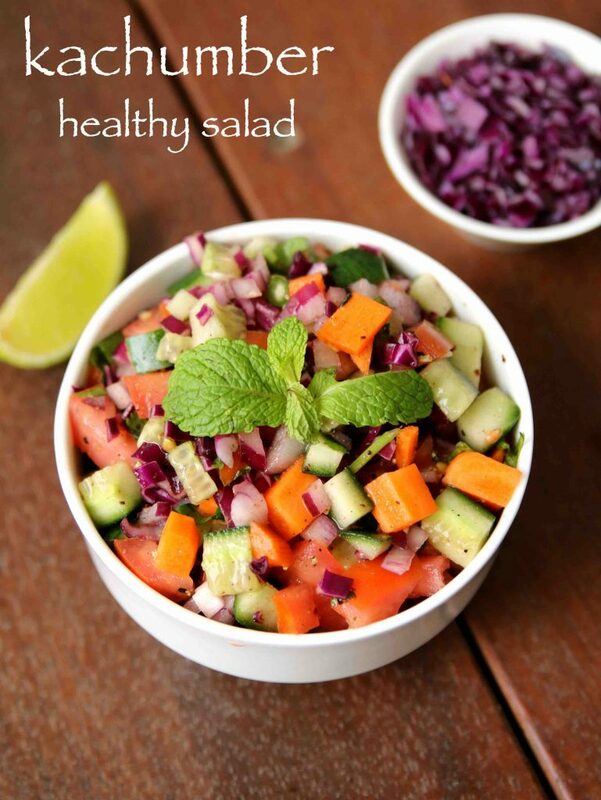 the dressing of salad can be easily varied with any choice of vegetables as per the preferences. 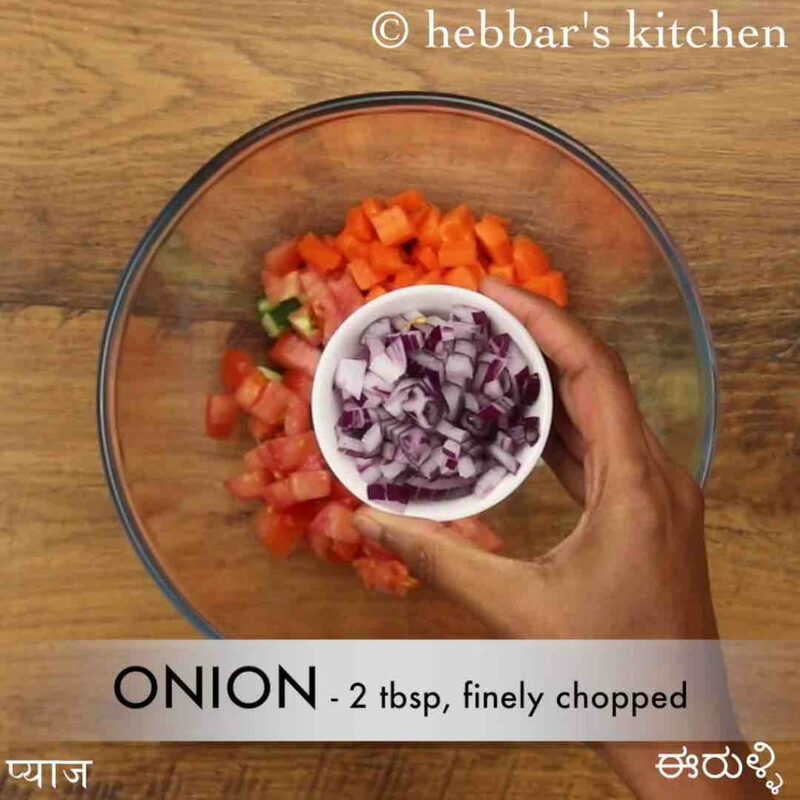 kachumber salad recipe | kuchumber salad recipe | tomato onion cucumber salad with step by step photo and video recipe. indian cuisine deal with myriad salad recipe which does not make a complete meal by itself but served mainly as a side dish. 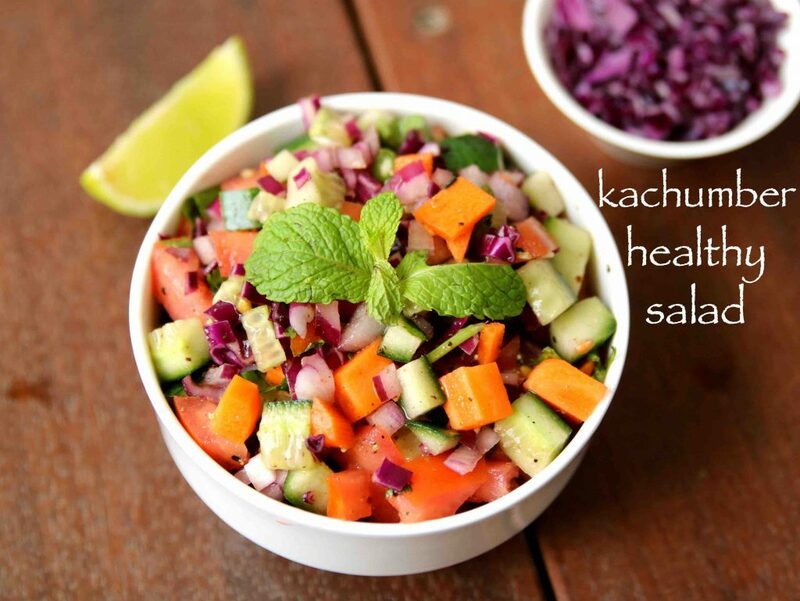 kuchumber salad is one such easy and healthy salad recipe prepared with choice of diced veggies. the dressing may vary and contain pepper, lemon juice and chaat masala. i have to admit it that i haven’t contributed much to my salad recipes category and it holds few south indian kosambari recipes. i repeatedly get several requests to post the healthy salad recipes with a lip-smacking dressing. i personally not a huge fan of salad recipes but i try out few especially if i am having a stomach upset. or i am in a mood of having something lite with no craving for spice induced food. 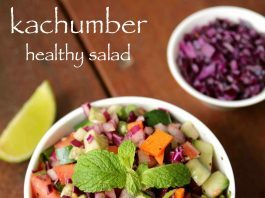 but kachumber salad recipe is my husband’s favourite recipe and he makes it for himself as a snack or side dish during weekends. the fun part is he easily extends with whatever vegetables available in the fridge. last time he had added fresh avocado which even i liked it as a snack. it is a simple salad recipe without much complications, yet some tips and variations to kachumber salad recipe. firstly, as mentioned previously the recipe for tomato onion cucumber salad is completely open-ended. you can extend it by adding veggies like radish, beetroot, avocado, broccoli, spinach and chilli peppers. secondly, do not finely chop or grate the vegetables and it has to be roughly diced before using it. if you grate it, some veggies would release its water and make the salad mushy. lastly, the salad dressing can be easily varied and can be used as a dip for chips/nachos or as filling for a veggie burger. 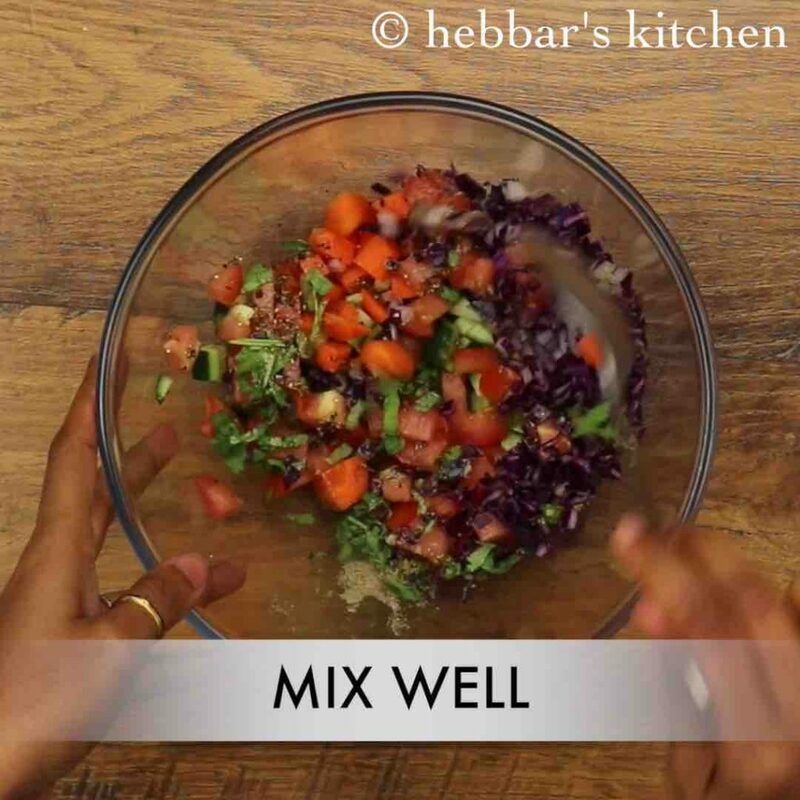 firstly, in a large mixing bowl take ½ cup cucumber, ½ tomato, ¼ carrot, 2 tbsp onion, 2 tbsp cabbage and 1 tbsp coriander. also add ½ tsp pepper, 1 chilli, ½ tsp chaat masala, ¼ tsp salt and 1 tbsp lemon juice. finally, serve kachumber salad / mix veg salad recipe garnished with fresh mint leaf. firstly, add vegetables of your choice like avocado, pomegranate and sweet corn. additionally, if serving for kids then skip green chilli. furthermore, add salt and lemon juice just before serving to prevent vegetables from releasing juice. finally, kachumber salad / mix veg salad recipe tastes great when prepared with fresh vegetables.